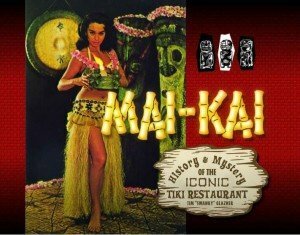 A new icon will great guests at today’s 60th anniversary celebration at the historic Mai-Kai in Fort Lauderdale. 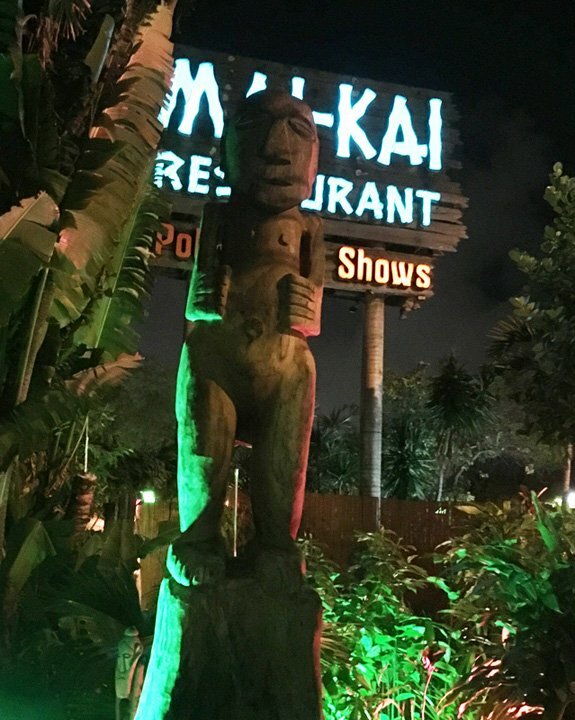 Looming 12 feet tall in the outdoor Tiki garden is Hiroa Nui, a new carving by a local artist who has spearheaded a resurgence of traditional artwork at the acclaimed Polynesian restaurant. 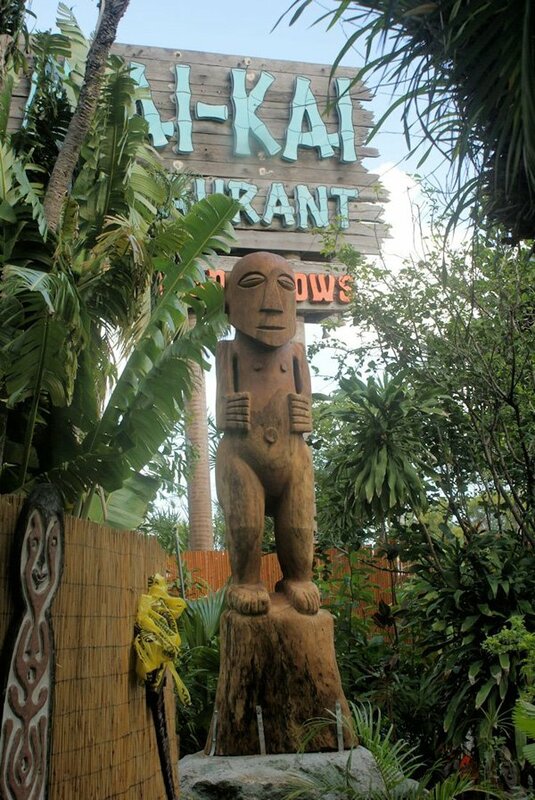 The Tiki, carved out of Florida oak, is 7 feet tall with a 2-foot base and stands on a 3-foot pedestal that once contained other notable Tikis over the years. It’s in the perfect spot for a photo op in front of the restaurant’s distinctive sign as guests wander through the lush tropical garden. “I wanted to set it up so you can get that magic picture with The Mai-Kai sign,” Anders said. 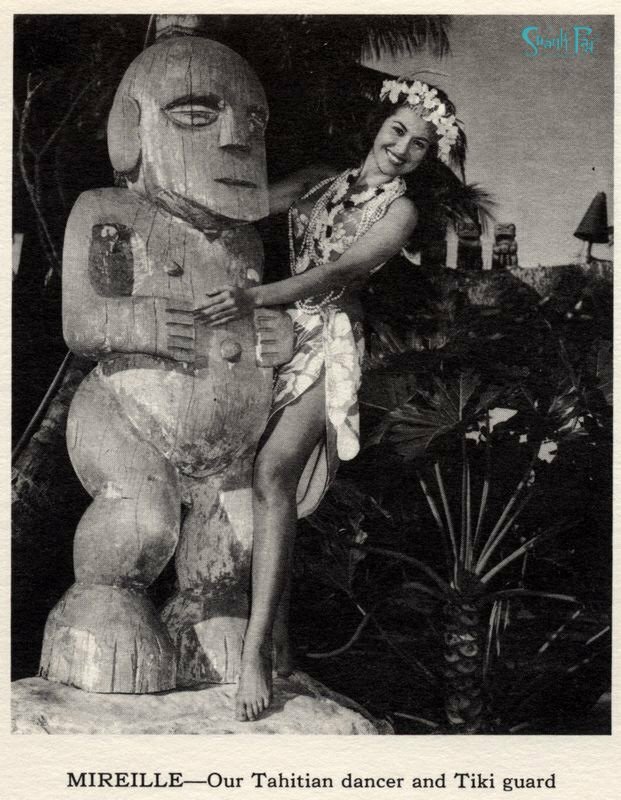 Mireille Thornton poses with the original Tiki that inspired Anders’ carving in a photo from the 1963 Mai-Kai calendar, just a year after she became choreographer of the Polynesian Islander Revue. Hiroa Nui was installed on Monday, Dec. 26, after just 30 days of work by the diminutive but immensely talented carver. The work was done mainly with a chainsaw and angle grinder, Anders said, with some detail work done by chisel. The hard wood was “pretty formidable to chisel,” he said. Anders was inspired to create the traditional Tahitian carving by an old Tiki that once stood in a similar position in the garden. Photos are rare, but it was most famously pictured in the 1963 Mai-Kai calendar along with Mireille Thornton after she became choreographer of The Mai-Kai’s Polynesian Islander Revue, the longest-running authentic South Seas stage show in the United States, including Hawaii. She married owner Bob Thornton in 1974 and took over after his death in 1989. A native of Tahiti, Mireille is kept the South Seas tradition alive for the past three decades while at the helm of the restaurant along with her son, managing owner Dave Levy. 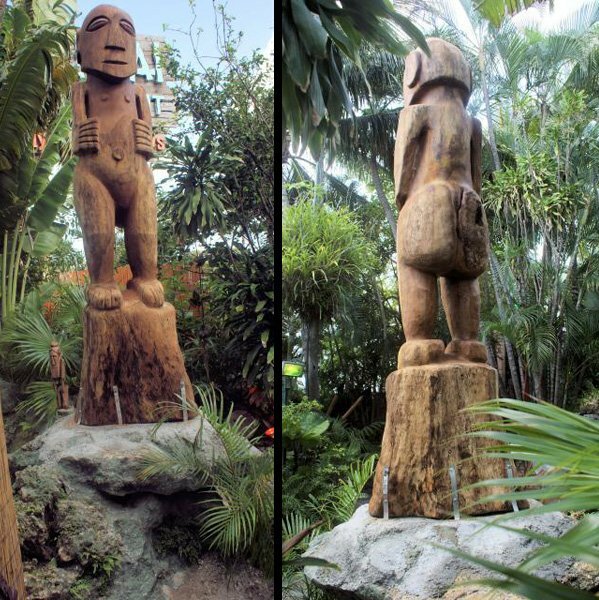 Anders, along with other Florida artists such as Tom Fowner and Jeff Chouinard, have recently contributed massive new carvings in the traditional styles of Polynesia. Check back for the full story on the installation of Hiroa Nui. This entry was posted in Art, Culture, Events, Events, Events, Events, History, History, Mai-Kai, Restaurants, South Florida and tagged Barney West, Hiroa Nui, Mai-Kai, Mireille Thornton, tiki carving, Will Anders. Bookmark the permalink.